After writing this letter below the only response I got from your company was the return for $11 for the shipping with no other compensation or acknowledgment of what I went through. The person said “I am sorry to hear about the delay in the vendor delivery”. I am writing regarding order # 382242798934. I placed this order on August 12, 2018 and I got my order just today November 13, 2018. I had called multiple times regarding the order status throughout the past 3 months and was told every time they would get in touch with the vendor and then get back to me. I never got a phone call or email or any response. I then called last month and asked that the order be cancelled and I was promised that it would be cancelled as it was such an inconvenience to me. I needed this order for a dinner party and it did not arrive “within 1-3 weeks of order receipt” as per advertised on the website. If I had know that it would take 3 months, multiple phone calls, and misleading information given to me, I would have never placed this order. I was assured that the order would be cancelled, yet I was still charged and shipped the items. I called today to ask why this happened and I was told that the vendor could not cancel the item therefore, it was shipped. If this was the case I should have been called or have received an email stating that the order could not be cancelled, yet I received no information. I spoke to the representative for a refund of $74.52 as this was completely not acceptable and she told me that it cannot be done as it is from the vendor and West Elm has nothing to do with it. I explained that this was completely unacceptable especially since I had called multiple times regarding the status of the order and I was not relayed any information when I was told that I would be. She told me that it could not be returned as West Elm has nothing to do with this and it was the vendors fault. 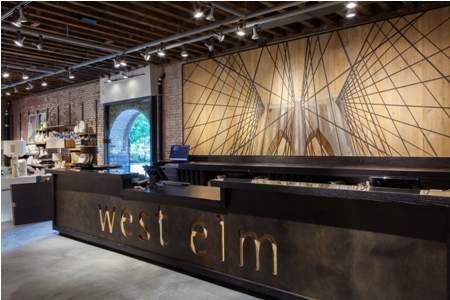 Even if it was the vendors fault, West Elm as a company who does business with this vendor is still responsible for their customers, and I should have been given my refund without question for this inconvenience. I asked to speak to a manager and I was told that I would have to return the item in order to get my refund. After all this inconvenience that I was caused, I was asked to have it shipped back for something that should not have not been shipped in the first place as I was promised. I said this is very unacceptable esp from the business aspect of customer service to ask me to go to UPS so that I could be inconvenienced again for the 10th time. I was refused my refund. I tried to explain multiple times that I called so may times for this order and every time I was told that someone would call me, or email me or that the item should be shipping soon as they would get in contact with the vendor, none of which was done. She agreed with me and said that it was unacceptable but that I needed to be inconvenienced just one more time. I was shocked to say the least as I thought that she was mocking me for my inconvenience and I cannot begin to describe how I felt by this. 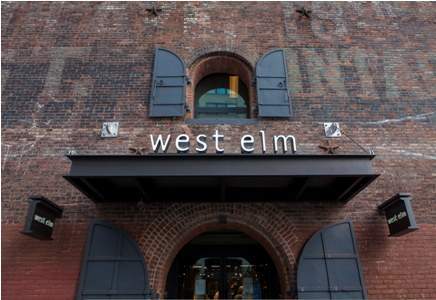 She still refused to give me my full refund and only offered me $25 which was insulting especially since I was told that West Elm had nothing to do with the refund which now seems to me was a lie. I do not appreciate being lied to and asked to be inconvenienced “just one more time”. She offered to have someone pick up the order in front of my house and I explained that I am unable to leave items outside my house as they will be stolen which has happened and as a result I have cameras for this now. I was told by the manager “don’t worry about it”. I said this is not the right answer and I proceeded to ask what will happen with my refund if the item was indeed stolen. She said that a claim with UPS would have to be filed. In this time of the holidays and stolen goods, it has been advised to not leave items unattended outside the house. I could not agree to this and be caught up in another claim and another inconvenience. I asked that I am entitled to my refund without having to return anything given my multiple inconveniences yet she declined. As a loyal customer to say this experience is disappointing does not ever begin to cover the magnitude of this issue. I have never had such a horrible experience with customer service with so many people on multiple occasions. I have had experiences with other many other companies for issues not even of this scale and without even asking for it I have been offered a refund for my inconvenience without question. I should not have to be asked to return the items in any form and should have be given my FULL refund without question for the magnitude of inconvenience and insults that I received. It is not even about the amount of the refund but the principle of this whole encounter.